As a young pianist, Sullivan was awarded second place in the Music Teachers National Association Collegiate Artist Auditions as well as prizes in the Joanna Hodges Piano Competition’s New York Debut, Academy of London, Los Angeles Chamber Orchestra and Schumann competitions, among others. He won concerto competitions at both IU (Rachmaninoff Second) and USC (Mozart, K. 503.) He has performed widely throughout California and has twice performed at Carnegie Hall’s Weill Recital Hall in New York. Much sought as an adjudicator, Dr. Sullivan served on the jury of the inaugural Rosalyn Tureck International Bach Competition held in New York City in 2008. At the invitation of the Piano Teachers’ Music Guild in Tokyo, he travels to Japan regularly to conduct master classes, lecture demonstrations and student evaluations. 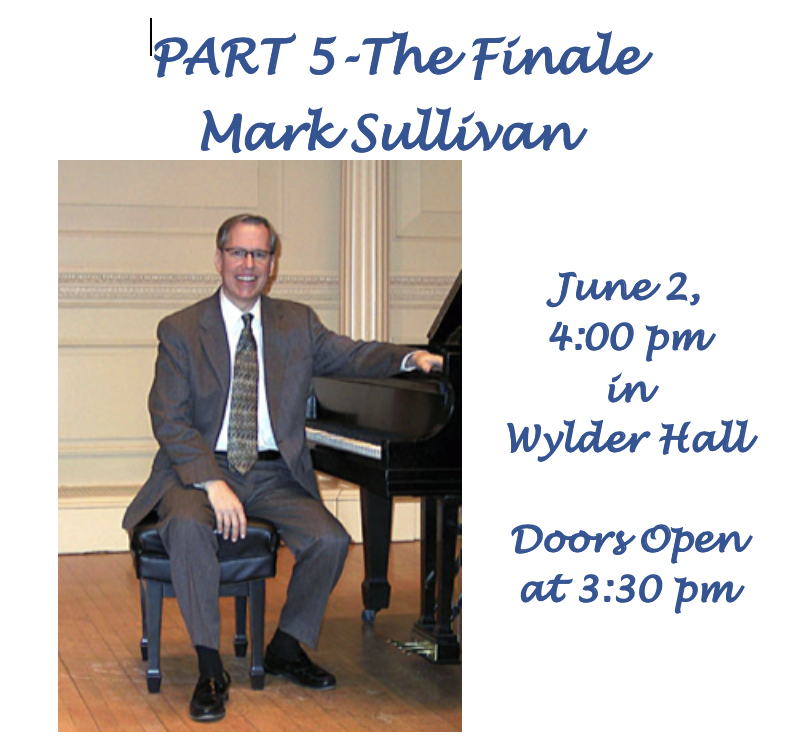 Mark Sullivan continues to perform regularly as recitalist and chamber musician, and served as General Chairman of the Southern California Junior Bach Festival from 2006 through 2018. He continues to teach privately at his home in the Bluff Heights neighborhood of Long Beach.